With a stay at Smile Hotel Namba in Naniwa, you'll be close to Osaka Science Museum and Shitennoji Temple. This hotel is within close proximity of Osaka Museum of History and Umeda Sky Building. Make yourself at home in one of the 88 air-conditioned rooms featuring refrigerators and LCD televisions. Complimentary wired and wireless Internet access keeps you connected, and premium TV channels provides entertainment. Bathrooms have shower/tub combinations and hair dryers. Conveniences include desks and in-room massages, and housekeeping is provided daily. 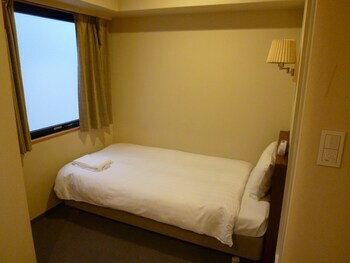 Smile Hotel Namba is an amazing Osaka lodging choice for your trip to Japan. With numerous amenities for guests such as parking - self, dry cleaning service, laundry, you will wake up at Smile Hotel Namba feeling invigorated every day for your time in Osaka. Don’t let this amazing reservation opportunity pass you by, book your stay at Smile Hotel Namba today to make the most of your time in Osaka, Japan.